In his Budget speech on February 29, finance minister Arun Jaitley focused on transportation, energy and social sector spending, but allocations for environmental management and conservation were given a complete miss. 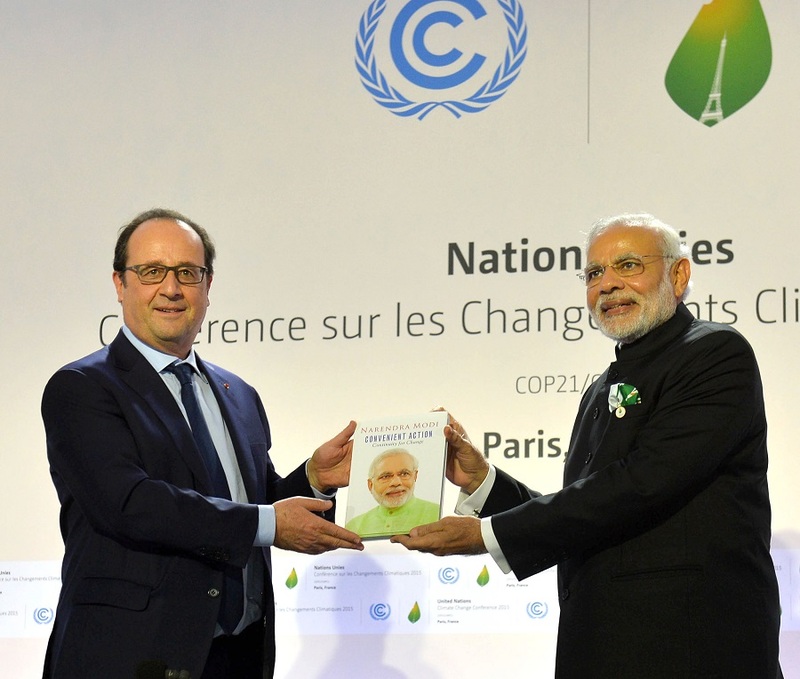 This snub towards the environment comes as a surprise especially considering the role played by India in the climate change agreement signed at the recently concluded COP21 summit in Paris. The Budget document shows that allocations to the Ministry of Environment, Forests and Climate Change (MoEFCC) have continued to rise, from Rs 1,681.60 crore in last year’s budget to Rs 2,250.34 crore in 2016-17. But most of this Rs 570-crore increase has come in the form of planned revenue expenditure (salary and other operational expenses), which has risen by Rs 540 crore to Rs 1,944.75 crore this year. This leaves an increase of only Rs 30 crore divided between planned capital expenditure estimates (expenditure on schemes and programmes) and non-planned estimates. In fact, planned capital expenditure saw a dip in comparison to actual expenditure undertaken during fiscal year 2014-15. Funds allotted specifically for climate change mitigation, under the National Action Plan on Climate Change (NAPCC), have also seen an increase. The budgetary estimate of about Rs 180 crore for climate change action has this time been split among the Climate Change Action Programme (CCAP) (Rs 30 crore), the National Mission on Himalayan Studies (Rs 50 crore) and the National Adaptation Fund (Rs 100 crore). While this is more than the Rs 160 crore allocated last year, there is no provision to cover the revised estimates of total expenditure of Rs 136.79 crore for the CCAP and Rs 115 crore for the National Adaptation Fund. The marked difference from previous years, though, is the accounting of the National Clean Energy Fund (NCEF) in the Budget. The NCEF was created in 2010-11 by introducing a carbon tax called coal cess on the sale of every tonne of lignite or coal sold. “Earlier this fund was never accommodated in the budget and many ministries lay claim to it according to their needs. It is good news that the government has this time allotted it individually and specifically,” says Srikanta Panigrahi, director general at Carbon Minus India and an influential voice in Indian climate change negotiations. The money collected under this fund helped to meet expenditures under different heads, appearing as unexpected sources of revenue. However, by including the NCEF in the Budget while making expenditure estimates, it is still unclear whether funds allocated will be enough to cover expenditures under programmes like the NAPCC. At the same time, it is likely that the increase in the cess may provide for the expenditures. “In FY 2015-16, the coal cess was increased from Rs 100 per tonne to Rs 200 per tonne. In this financial year, this cess has been doubled again to Rs 400 per tonne,” says Aruna Kumarankandath from the renewable energy department at Delhi-based Centre for Science and Environment. One interesting implication this year’s allotments for climate change is on the rolling out of India’s Intended Nationally Determined Contribution (INDC), the country’s contribution to global efforts to combat climate change. According to the Economic Survey released on Friday, preliminary estimates suggest that at least US $2.5 trillion at 2014-15 prices will be required for meeting India's climate change action under the INDC between now and 2030. While the Survey recognised the enormity of the task of mobilising and utilising green finance, the allotments by the government this year fail to reflect the country’s ambition. “Specifically with regards to climate change, there is only a minute change in the Budget estimates compared to last year. It is unfortunate that the Green India Mission, the NAPCC and the National Adaptation Fund which all go a long way in addressing climate change have not been given greater allotments and have been largely neglected by the looks of it. It remains to be seen how we will meet our targets set by the INDC. One thing that cannot be escaped is the increase in costs as time passes,” says Panigrahi. Allotments to the renewable energy sector (Rs 5,035 crore in total) as well as cesses from polluting sectors are likely to put together enough for India’s financial commitments to address climate change, at least as far as fiscal year 2016-17 is concerned.